pacing, when he talks) bizarre and rather charming. That voice! 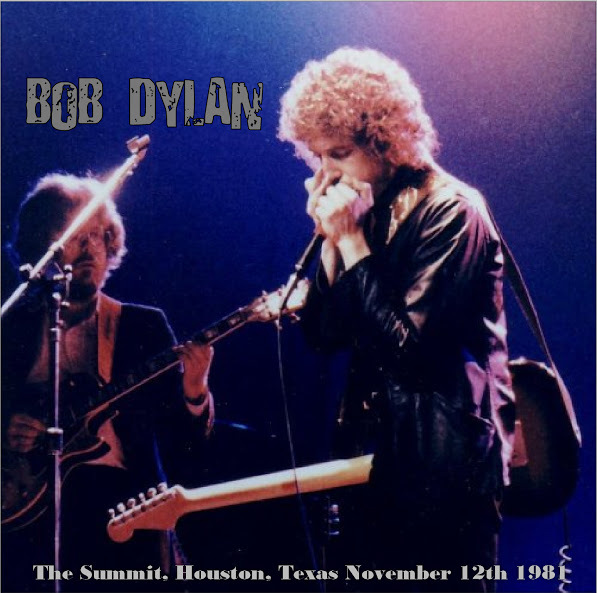 If you love Dylan’s work, then you must somehow get hold of copies of “Simple Twist of Fate” and “A Hard Rain’s A-Gonna Fall” from Houston, 11/12/81. 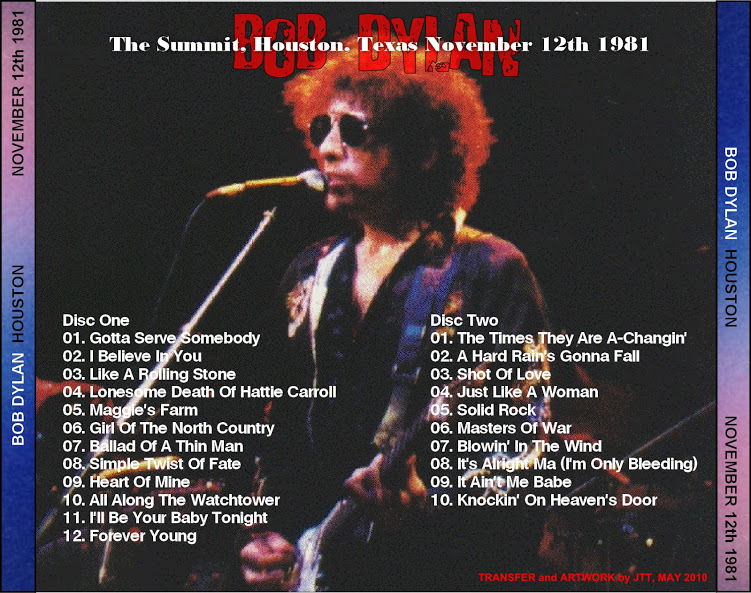 And “Solid Rock.” The new, “slow version” of “Solid Rock” performed at the fall 1981 shows is one of the highlights of a year of astonishing creativity and expressiveness for Dylan… Of course what you really want is a copy of the entire Houston concert; there are high points aplenty, and a fascinating sense of momentum from song to song, as the strange mood he’s in ebbs and flows, clashing with a song occasionally, more often discovering and magnifying itself in the folds and twists of the song’s lyrics and chord changes and rhythms and most of all in the accumulating composite message that the song exists to express.. Throughout 1981, Dylan slowly began reintroducing some of his standards back into the gospel shows. By the end of the year, they outnumbered the religious songs. This soundboard recording features very little audience noise. The vocals are way out front. Dylan’s phrasing and articulation that had made the christian material so powerful is now spilling over into the secular classics. Thank you. All right! Houston, Texas. Houston. Well here’s another animal song. This is about the most dangerous animal there can be. All right, thank you. The times they are a-changin’ still. Not changing fast enough though for some somebody? [shouts from the audience] Huh? Boy that serious, that’s true, ain’t it. I sure do. Everybody does, I guess so. Yeah, sure do. Even you.